How could one static contractions workout boost your bench press by 277%? See how life coach Tony Robbins rocketed to a monster 1/4 ton. 500 pounds is a lot of iron. 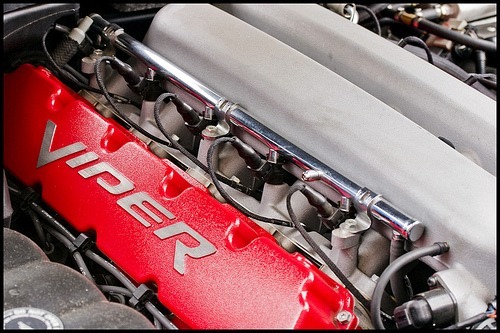 To get an idea of this kind of weight, the third generation Dodge Viper's V10 engine weighs approximately 500 pounds. That is a quarter of a ton of high-precision engineering. Now imagine the kind of brute power required to lift such weights. All of a sudden our 500 pounds sounds VERY heavy, and far beyond the reach of mere mortals. Yet what if I was to say, you had the potential to lift such monster weights? Sounds crazy? To explain, I want to tell you a story. When the Lear 35A jet touched down in Boise, Idaho, human performance coach Tony Robbins had no way of knowing he was about to pulverize his previous weight training records. Until now, he bench pressed a respectable 180 pounds, yet would soon annihilate this figure - and would go onto hoist more than DOUBLE his usual poundage with ease before lifting a further 1/4 ton of iron. Robbins was in Boise to showcase a revolutionary type of training being pioneered by Pete Sisco and John Little. A fan of their work, Robbins wanted to interview them and video their methods. Excitingly, it didn't take Robbins long to start smashing his own personal weight training records. The record breaking began with the bench press. Asking Robbins what he normally benched, the life coach said he didn't have much upper body strength and could only bench 180 pounds. Loading 300 pounds in a power rack, Sisco and Little invited Robbins to lift the weight in his strongest range and hold it there for 10 seconds. A surprised Robbins lifted the barbell with ease. Increasing the weight to 390, they invited a "jazzed" Robbins to do it again. He did...and without breaking sweat. Now 450 pounds went onto the bar. Again Robbins lifted it. Amazed at what he had just achieved, the delighted coach asked Sisco if he would set up the bar for 500 pounds. After loading a 1/4 ton of iron onto the bar, Robbins rammed up the 500 pounds on his first attempt and held it for a full count of ten. So how did Robbins do it? The secret behind this ultimate strength exercise is static contractions. By lifting in the strongest range of motion, greater weights are trainable. 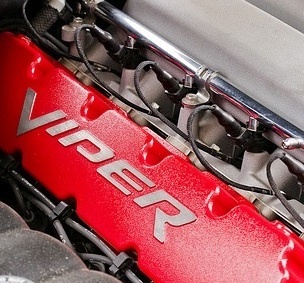 This is why, using a zero range of motion, Tony Robbins would lift the equivalent weight of a Dodge Viper's V10 engine - and boost his bench press by 277% in one single workout. This means if you are capable of a full range bench press with 200 pounds, you can expect to perform a strong-range bench press of 250-400 pounds or more. Suddenly, 1/4 ton of iron doesn't sound so heavy! How did life coach Tony Robbins skyrocket his bench press from 180 pounds to a monster 1/4 ton? Static contractions are key and can help you pulverize your training.